In 1978, Dr. William Kerns opened his medical practice in a small office on Shenandoah Avenue. 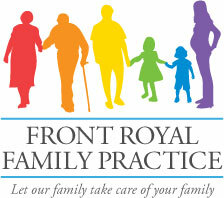 Since then, Front Royal Family Practice has consistently focused on the medical needs of our community and has grown to eight Board Certified Attending Family Practice Physicians and two Board Certified Family Nurse Practitioners. In 1998, we joined with Virginia Commonwealth University and Valley Health Systems to open the Shenandoah Valley Family Practice Residency, where 15 licensed physicians-in-training prepare for board certification in Family Medicine under the instruction of our Attending Physicians.